Have you ever been in a bar or restaurant when they dim the lights? They do this for a reason. The right lighting creates a more emotional, social dining experience. It makes the food and the people around you look more appealing. When lighting does that, you’ll want to stay longer… and spend more money. Dimming your lights will help you reduce wattage and energy output, which will lower your energy bill. You’ll be more comfortable and you’ll save money! Lowering the wattage flowing through your bulbs lowers the strain on those bulbs. Consequently, light bulbs tend to last longer when you install dimmer switches. You won’t have to replace them as frequently, which will, again, help you save money! Dimmers can change the room with just a touch. If the kids are doing homework at the dining room table, you could make the room bright. If you’re having a romantic dinner or you just want to relax, you could dim the lights. Never underestimate how great a difference a little mood lighting can make. Imagine that last sentence in Barry White’s voice (if you’re in the mood). When you wake up and stumble to the bathroom, the last thing you want is a harsh, bright light assaulting your eyes. Dimming the bathroom lights can help ease you into your day. Dimmed lights will also help make baths even more relaxing. Dimming the lights as you get ready to go to bed tells your body it’s time to sleep. Transitioning from bright lights to complete darkness will help you calm down. You’d be surprised how much better you’ll sleep! Dimmed lights can be perfect when you make your coffee in the morning or for that late-night snack. They could also help set the cooking area apart from the dining area to distinguish between areas when you entertain. Maybe you can keep everyone at the party from cluttering up the kitchen. Lowering the lighting when you watch a movie will make your home feel like a theater. You probably don’t spend a lot of time looking at your porch. If you dim your outdoor lights when you don’t need them, they won’t use as much power. You’ll save money, and you’ll still be able to enjoy the light streaming in. You can always brighten things up whenever you want, too. Incandescent bulbs use the most energy. Dimming reduces an incandescent bulbs’ lumen output more than its wattage, which makes them less efficient when dimmed. If you plan on using CFL or LED bulbs, the dimmers you install must be rated for them. If you choose CFL bulbs, you’ll need dimmable CFL bulbs and a compatible dimmer switch. Using non-dimmable CFL bulbs or a non-compatible dimmer switch with CFLs is a fire hazard. CFLs don’t lose their efficiency when dimmed. Some LED light bulbs can be used with dimmers. Fully-compatible LED dimmers have become more common as the LED industry expands. Also, make sure to know the wattage you need and if you have a single pole or three-way switch. 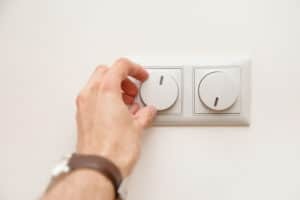 So far, you know why businesses dim their lights, the advantages of dimmer switches, and why different bulbs need different dimmer switches. Now, we’re going to teach you how to install a dimmer switch. …Or we would, except we’re out of space. Check in soon for Part 2 of our dimmer switch series, where we’ll cover installing dimmer switches and more! In the mean time, if you have any more questions about all things electrical, Early Bird is the service to call. 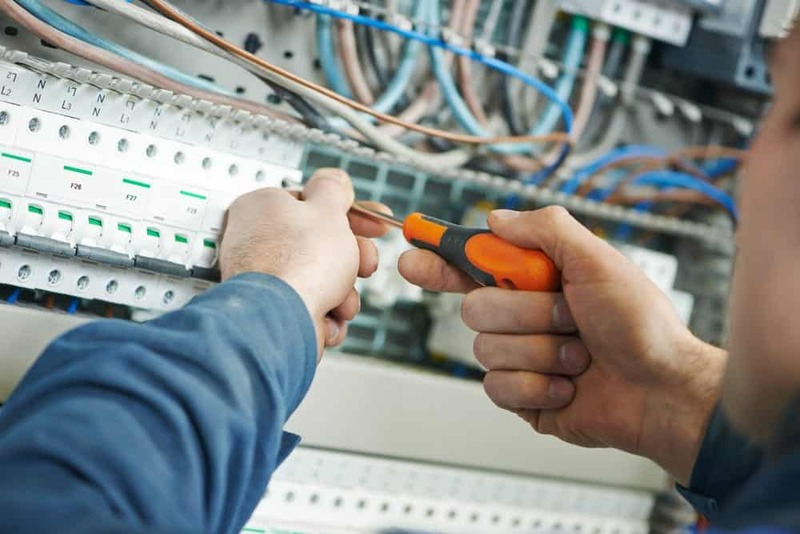 From questions to repairs to installations, we have you covered.